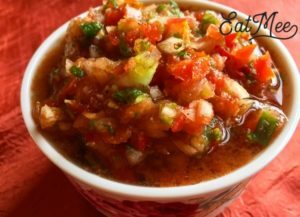 Mexican Salsa is spicy yet filled with flavour. This is a quick & easy recipe that will be enjoyed by those who love spicy food. 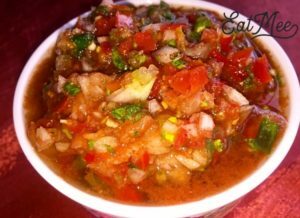 Salsa is the Mexican, Spanish, Italian, Greek, and Turkish term for sauce. 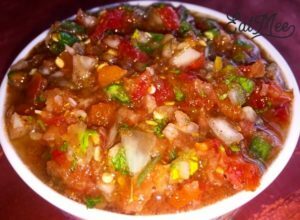 In English-talking nations, salsa for the most part alludes to the sauces of Mexican cooking known as hot salsas or salsas picantes, especially those utilized as dips. It is a healthy addition to an adjusted eating regimen. The sauces are low in calories & contain practically zero fat. Huge numbers of the ingredients contribute vitamins & minerals. 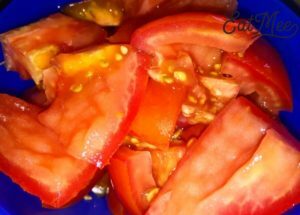 Tomatoes, chillies & cilantro (coriander/dhania) contain vitamins A & C. A few ingredients, similar to tomatoes, contribute potassium & lycopene. 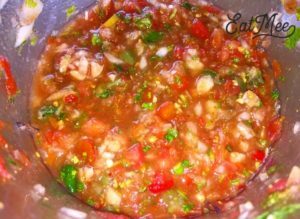 Salsas are poured over eggs, fajitas, fish stews, bubbled potatoes, utilized as dips for tortillas, tacos & breads, & as garnishes for quesadillas, enchiladas or antojitos (snacks). Roughly cut tomato into smaller chunks. 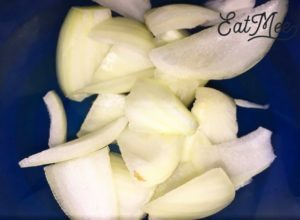 Chop onion into smaller chunks. 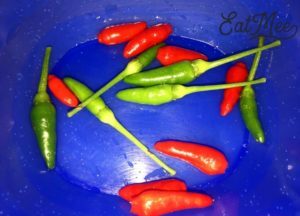 Rinse & cut green chillies into smaller pieces. 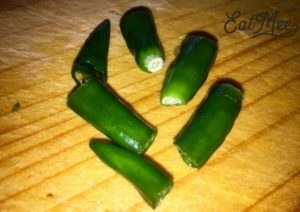 If you have any other spicy chillies, you may also incorporate that into this recipe. I have home grown china chillies which is really hot, so I have also added them in. 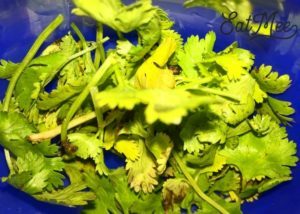 Rinse coriander (cilantro/dhania) & set aside. 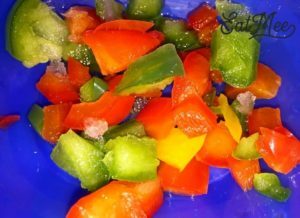 Chop bell peppers & set aside. 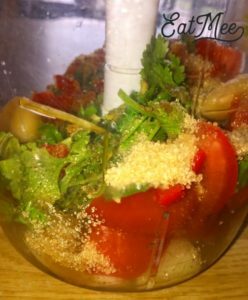 Add all the above ingredients to a blender (tomatoes, onions, chillies, bell pepper & coriander). Thereafter, add the garlic cloves, sugar, lemon juice, salt, & jeera (cumin) powder. 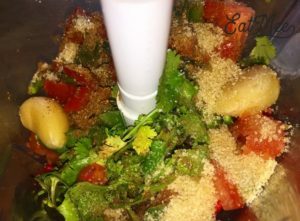 Blend until all the ingredients are well combined, leaving it a bit chunky. Empty into a bowl & refrigerate until chilled. When chilled, serve as is or as a side to other dishes such as quesadillas, enchiladas, gorditas, tortillas, etc. This Mexican Salsa may also be served as a dip for nachos. 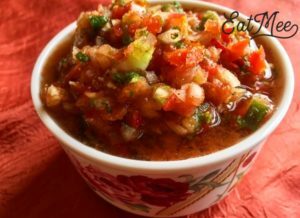 Store this Mexican Salsa in the refrigerator for up to a week.